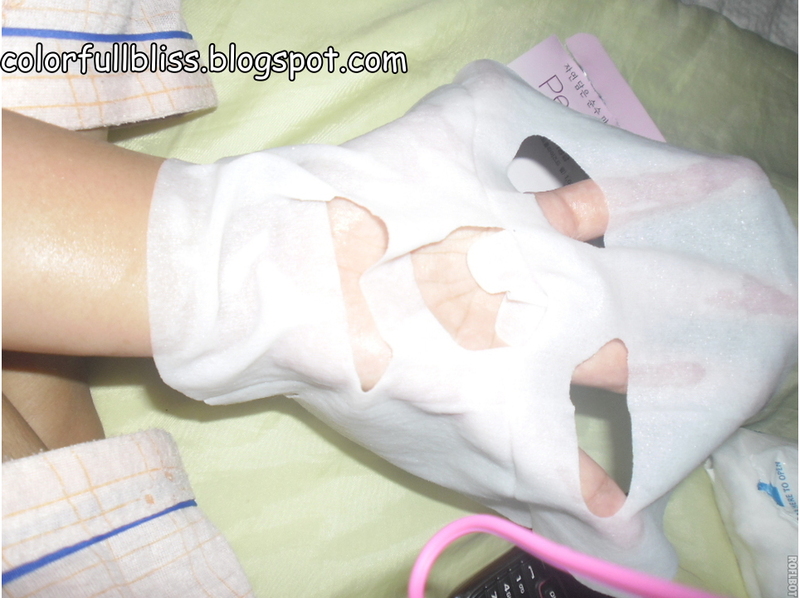 As promised about my haul at Etude House, I am doing this review on their best selling mask in “Pearl Extract”. See my post here. I am not really a fan of facial masks, I only just simply cleanse my face with water and my favorite facial soap and then wipe some cleanser available commercially and then that’s about it. I was just curious about it, watching it on TV programs, ads and other beauty blogs made me wanna get my hands on this products. I am so excited to see and feel its effect on my face. Let’s see? shall we? I did this when my baby was soundly asleep so not too much of a hush, my fiance was still not home so I bet he won’t notice =). I am stripping it out. and it just feels kinda really slimy =D LOL. Here it is, the facial mask with the holes. I think it is a bit bigger on my face though. Putting it on. It feels good, refreshing and the scent is good. 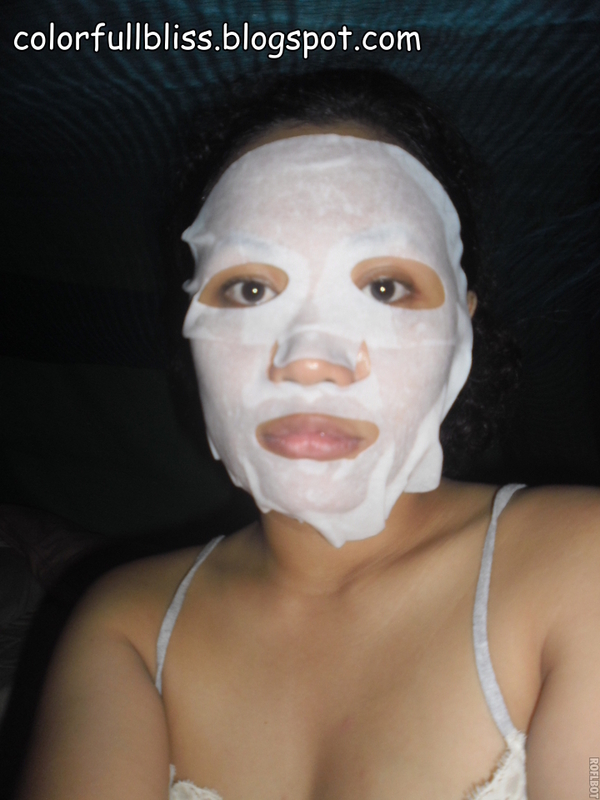 The mask gently sits on my face and gives me that toning tightening feel. Overall, I can say that it has that tightening feel on my face. It refreshes my stressed face and gives me that soothing effect. Hopefully, I could get to use it more often so I can attain the pinkish white glow it is supposed to do. That’s it for now… will be posting some updates on this product. Have you tried this product too? What facial mask worked for you? Please leave your comments below. Clarifying Witch Hazel Facial Mist Review + Before and After Photos! Haven't tried any of Etude House' facial masks.. But I love their happy tea time facial wash.. The last mask I tried was Olay's. It was kinda big for me too.. But it was perfect for my dry skin.. Thank you and i have followed you back. I'm sooo obsessed with face masks so gotta have thissss! 😀 Thanks for sharing this Graxa! hi girls thansk for all the comments. yeah i find this mask effective.